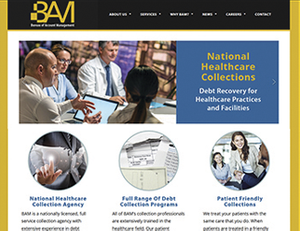 Most people don’t associate “friendly” with collection agencies, but at the Bureau for Account Management (BAM) Patient Friendly Collections is the foundation of their services. BAM, a nationally licensed collection agency, was looking to differentiate themselves from competitors and communicate why their approach yielded better results. Lacking a website presence that showcased their approach, BAM turned to the website team at AdAbility Marketing Communications. The programming of BAM’s new website, which is designed to reach decision makers at physician practices, hospitals, rehabilitation and skilled nursing facilities was recently completed. AdAbility Marketing Communications has teamed with Parsons, a technology-driven engineering firm that delivers innovative services to government agencies worldwide, on a PennDOT contract. AdAbility is managing the marketing communications and public outreach components of the project. Most recently, our communication team managed all the logistics and publicity for a series of information meeting held across Pennsylvania. 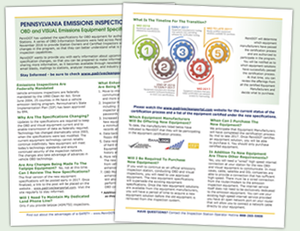 The information sessions provided state emissions inspection stations with details on PennDOT’s specification updates for On-Board Diagnostic (OBD) emissions analyzer equipment. The Pennsylvania Municipal League (PML) has partnered with AdAbility Marketing Communications for two Pennsylvania state training projects. 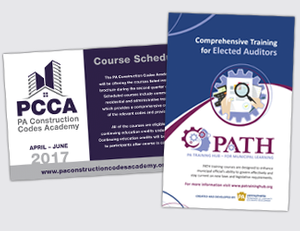 AdAbility will be assisting PML in develop training opportunities for PA Construction Codes Academy (PCCA) and PA Training Hub for Municipal Learning (PATH). AdAbility’s creative team assisted with development of portal websites, created new logos, designed course brochures and coordinated direct mail campaigns. 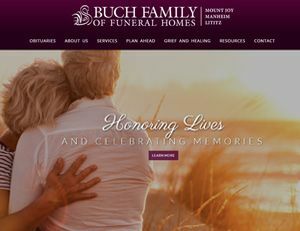 For more than 15 years, AdAbility has been handling the marketing communication for the Buch Family of Funeral Homes. Over the years, Buch has continued to enhance its legacy as one of the most respected funeral homes in Lancaster County. With locations in Manheim and Mount Joy, in 2016 Buch decided to expand their service area and purchased a Lititz funeral home in order to provide more service choices to families the surrounding area. With the addition of their third location, Buch asked AdAbility to implement rebranding around the family of funeral homes identity. AdAbility Marketing Communications assisted PA GI to help educate the public during National Colorectal Cancer Awareness Month. Colorectal cancer is the second leading cause of cancer death among adults in the U.S. However, an estimated 70% of all colon cancer cases could be prevented with early detection, with a screening colonoscopy. 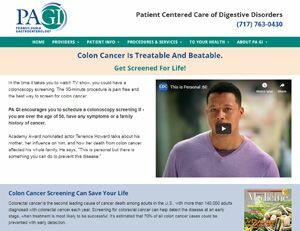 Our team worked with PA GI to raise awareness and encourage colon cancer screenings through radio interviews, magazine articles, billboards, press releases and patient information sheets. 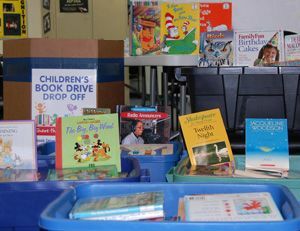 To enhance Mette, Evans & Woodside’s community involvement, AdAbility Marketing Communications helped to organize an annual children’s book drive. The firm partnered with RSVP to collect new and gently used books for children ages 4 to 12. The books are then distributed at after school tutoring and pre-k programs throughout Dauphin and Cumberland County. AdAbility’s creative team manages all the public relations, social media, event materials and promotion of the book drive. 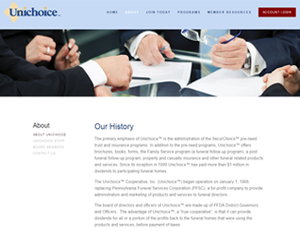 Pennsylvania-based Unichoice Cooperative, Inc. provides pre-need insurance products, aftercare materials and other related items to funeral homes. AdAbility Marketing Communications had done the programming for the original Unichoice website. The insurance organization asked AdAbility’s web developers to restructure and redesign the site to make it more dynamic and to meet the updated best practices for search engine optimization. The new site can be found at www.unichoice.org.